Your RV’s electrical panel is one of the most crucial systems of your RV home. It powers all the modern conveniences that you love inside your home away from home. It controls things like hot water, and your appliances that you use to cook with. 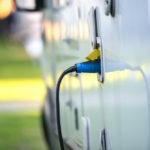 Most RV owners have a basic understanding of the RV electrical panel and how electricity is provided to their RV, and its various appliances inside. It helps to know what powers and controls your water, oven and lighting inside the RV. If you have problems with your RV electrical panel you should not attempt to troubleshoot and fix anything on your own, unless you come from a background in electrical work, or electrical engineering. You don’t need to injure yourself while trying to obtain hot water for the shower. Call Fix My RV, and we’ll come out and assess your RV electrical problems and offer mobile RV repair services in the area. Your RV Electrical panel supplies wattage to your RV home. Brick and mortar homeowners have the modern convenience of unlimited amounts of electrical power (that they have to pay the power company for), and RV homeowners do not have that sort of luxury. When you are considering appliances and other conveniences inside the home, and considering your RV electrical panel problems, you’ll want to have this formula in your mind. Watts, another word for power, is a product of electricity. Simply arranged, W=A x V, with ‘A’ being defined as Amps, and ‘V’ being defined as volts. This simple formula can help you decipher how many different electrical devices you can have at any given time running in or on your RV. When you exceed your available wattage, you’ll experience a trip to the RV electrical panel. 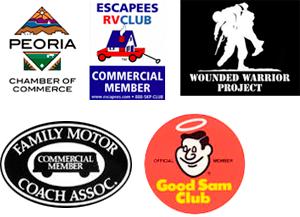 Find out more about our mobile RV repair Phoenix AZ services. We can repair RV air conditioners, RV hot water heaters, and RV appliances. We are an Authorized Service Center for Aqua-Hot heating systems. Need Aqua Hot parts? We are the team to call!